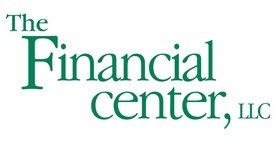 The Financial Center, LLC, is committed to assisting you in realizing your goals. The most successful investors, we find, have three things in common. They have identified their investment objectives, developed a strategy to attain their goals, and they meet regularly with their financial advisor to review their progress. At The Financial Center, LLC, our primary objective is to assist you in working toward your financial goals. We will be there with you at every step of the way. We will help you formulate your goals, clarify your objectives and set priorities. Whether you are a single person or a family, retired or approaching retirement, saving for your children's education, or are in need of protecting your assets for your heirs, The Financial Center, LLC is prepared to assist you. In a world crowded with new investments, changing tax laws, rapidly evolving insurance products and volatile economic cycles, more and more people are looking for clear direction in their financial lives. At The Financial Center, LLC, we want to offer some direction, provide you with a "road map" to help you reach your goals, and give you a sense of control over your financial lives. Please contact us for additional information.